Take a look at the technology and high-end, professional equipment we use to get the job done. All this is to ensure you get the best service possible. To generate accurate repair estimates for you, we use the C.C.C. Pathways Electronic Estimating System. Through digital imaging, this state-of-the art software allows us to precisely determine all the parts needed to successfully complete a repair. When the inner frame of a car has been damaged, frame straightening is necessary to get the car back in proper working order. These machines restore the frame to the original shape using hydraulics and torque. It allows us to effectively pull or push the frame to straighten it back into shape. 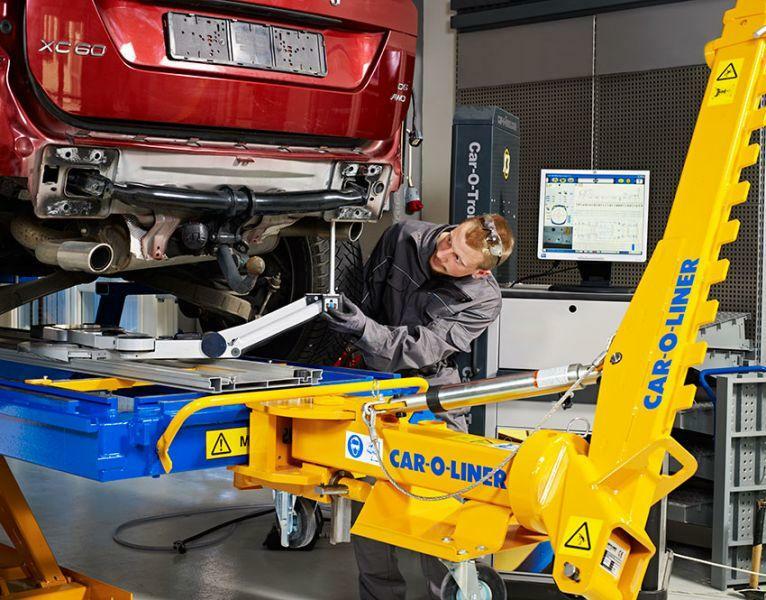 Here at Schubert's, we use "Car-O-Liner," one of the worlds leading frame straightening machines. We use only the best Resistor and MIG welding machines, together with our skills, to ensure a solid and properly reinforced bond. It's just another way that we, here at Schubert's, ensure your car is repaired to the highest standard. Spraybake is a leading supplier of paint spray booths for the automotive industry and has over 35 years experience and knowledge. This spray booth allows us to perform a smooth, high-quality paint job, free from dust, over-spray and other contaminates. The fast-drying, heated environment of the spray booth enhances the efficiency of the paint job, giving you the best paint job in the shortest time possible.